This recipe came by me so long ago I cannot tell you where it came from. But for years, perhaps over 20 or so, I have been making these mushrooms. (maybe somebody from my past will remember if they gave it to me) But they are always requested, so I decided to share this recipe with you just in time for your next holiday! The mushrooms can be prepared ahead of time, cleaned with stems removed. Then placed in a plastic bag and refrigerate. The filling can be made the night before and refrigerated. Assemble the day of the party and place in the refrigerator until ready to bake. This can be served along with Hot Fajita Wings with Guacamole and Shrimp with Mustard Vinaigrette with Snow Peas. 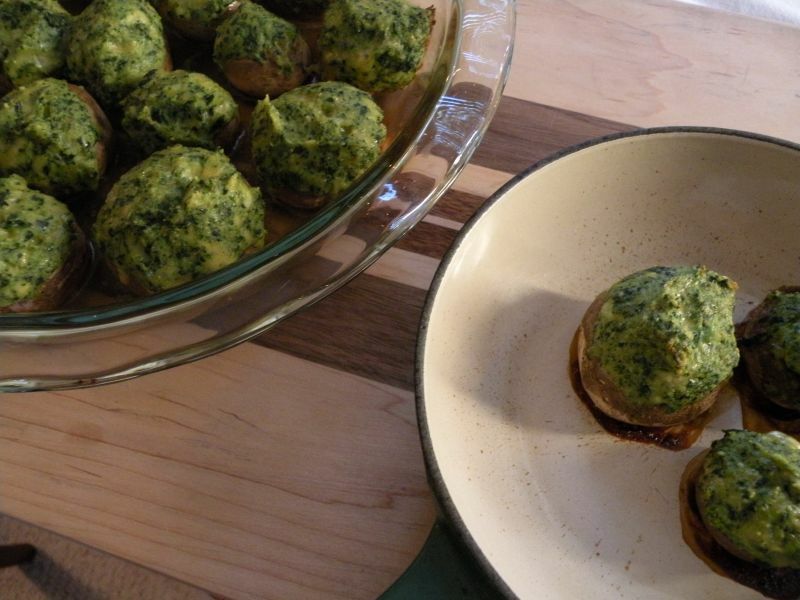 Try these little morsels at your next party. 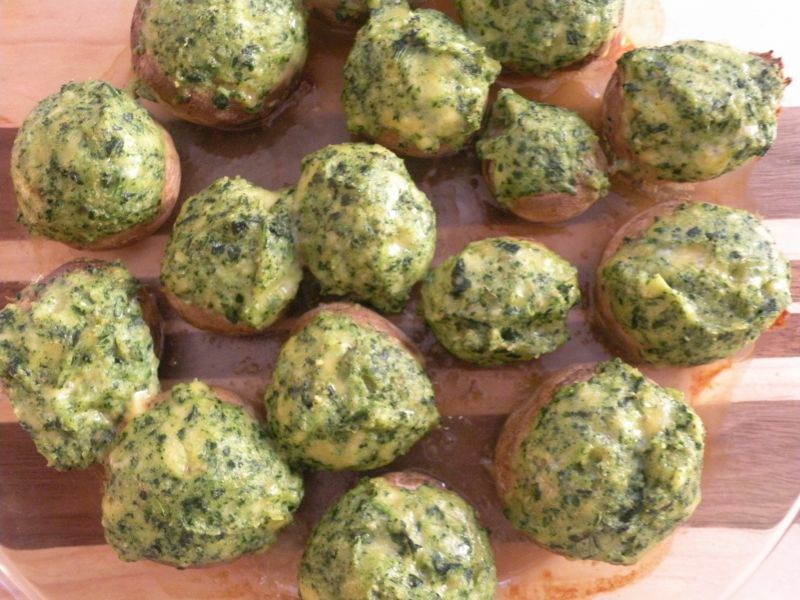 They can't be beat with the thyme and spinach goodness. Clean the mushrooms with a paper towel removing all dirt. Remove the stem. Place stem side up on a sheet tray. In a medium bowl mix together all the ingredients. With a teaspoon stuff the mushrooms making a hat like mound. Bake on the sheet tray for 25-20 until tops are brown. Clean mushrooms and remove the stem and refrigerate. Make the filling and place in refrigerator. On the day of the event fill the mushrooms in the morning and place in refrigerator until ready to bake. Note: This is an old recipe so feel free to replace the cheese with new cheeses such as Parmesan. Experiment with fresh herbs for a brighter taste. Mix with fresh greens such as mustard, but make sure to drain and dry thoroughly before adding to the recipe. More appetizers on by blog can be found here. Thank you Kiki! A family favorite for years. Now, my kids are making them, so you know they’re good.